Enhance your speaker or headphone sound with the Woo Audio WA7 Fireflies. 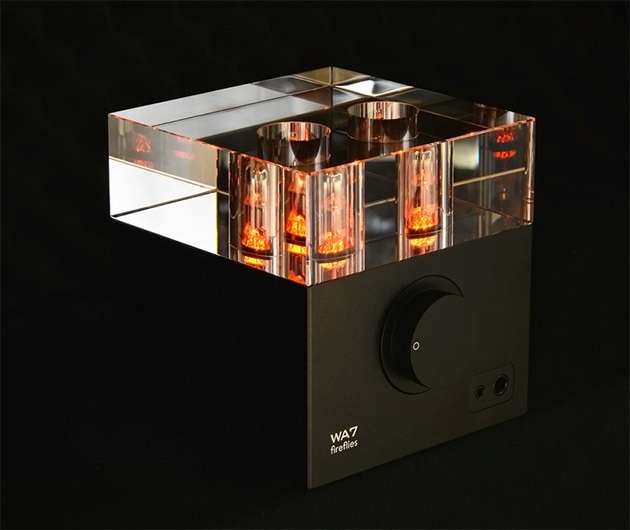 The elegant five inch cube, bursting with power, boasts a high-grade vacuum tube amplifier, USB digital to analogue convertor, nickel alloy transformers and an aluminium chassis all housed beneath a thick layer of high grade glass. The sound capabilities are immense and both the silver and black color options, beautiful.